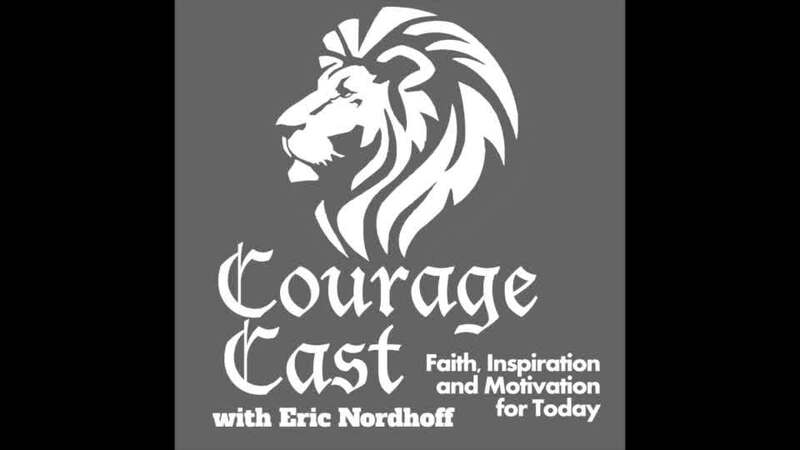 Listen to this motivational talk on iTunes. For further interaction join the Courageous Community. This is Courage Cast, faith, inspiration, and motivation for today. Hello everybody. 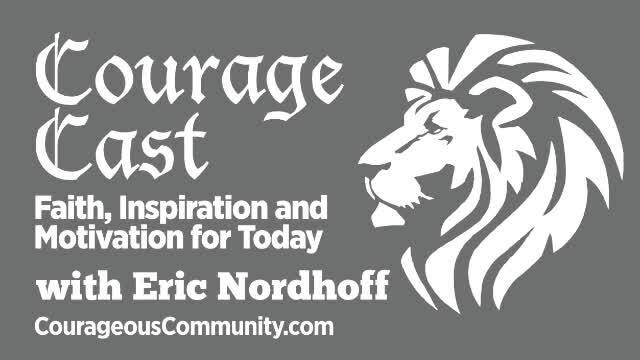 This is Eric Nordhoff and welcome back to another episode of Courage Cast, and welcome to the Courageous Community, ordinary people doing extraordinary things. You can join us at courageouscommunity.com. Just click on the link and you can join the conversation on Facebook, as well. Today we're going to be talking about something that is very personal. I'm going to dive into it in just a few minutes, but first I'm going to read Psalm 91:1-16, today's scripture. He who dwells in the shelter of the Most High will rest in the shadow of the Almighty. I will say of the Lord, "He is my refuge and my fortress, my God in whom I will trust." He will cover you with His feathers and under His wings you will find refuge. His faithfulness will be your shield and rampart. You will not fear the terror of night, nor the arrow that flies by day, nor the pestilence that stalks in the darkness, nor the plague that destroys at midday. A thousand may fall at your side, 10,000 at your right hand, but it will not come near you, for He will command His angels concerning you to guard you in all your ways. "Because He loves me, says the Lord, I will rescue Him. I will protect him for he acknowledges my name. He will call on me and I will answer him. I will be with him in trouble. I will deliver him and honor him." That's Psalm 91:1-16. That's a powerful verse and I can think of nothing more reassuring than reading the scripture and reminding ourselves who we are, who is our shield, and who is our protector. There's nothing more fear breaking than that. 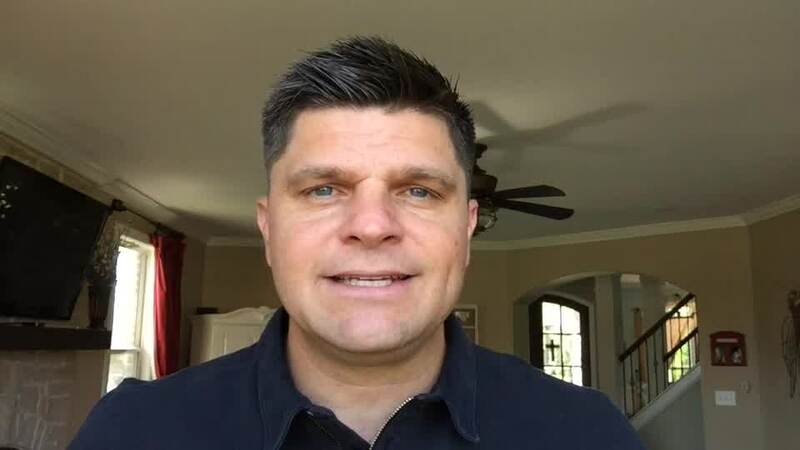 Today's message is titled, The Blame Game, as I mentioned, and this has been a theme for me for the last few months as I personally have gone through some transformational coaching. I want to share with you some things that I've learned about myself, and I think are true for most people. For a long time I have been shaming myself. I have been punishing myself internally for things that I've done wrong, for mistakes that I've made, just areas where I've not felt like I've lived up. I think it's the greatest lie that the enemy throws at us, especially us as believers in Christ, because we're lied to and told that we're supposed to be perfect, that we're supposed to not make mistakes, that we as Christians shouldn't live this way, and we should be ashamed of ourselves when we don't live up to others' expectations. Instead of that, I'm taking responsibility for believing a lie that I don't have what it takes up until now. See if you can relate to this. You make a mistake or fail at something, it could be something small or something big, and then you begin to shame yourself, and then it becomes outward focused. You start to blame everyone else around you for your self-pity. You start to feel sorry for yourself, and you start to blame everyone else around you. You begin to, out of pride, blame others for their mistakes. You see, that's what I was doing. I was blaming Krissy, or my kids, or anyone else that got close to me, and they would experience the blame game that I was playing. I was coming from a place of woundedness rather than a place of inner strength. Although on the outside I may have seemed to be really strong in my presentation and my belief, on the inside I was incredibly insecure, and it was coming from a place of weakness and not strength that comes from God. I wasn't aware, even, of how much I was blaming others, because of my inner shame. When things didn't go my way, things didn't go the way I thought they should, things didn't happen the way I wanted them to, that's when I would start blaming others. I was unconsciously finding anyone or anything to blame, except for myself. At the same time I always thought of myself as taking full responsibility for issues and situations, and I didn't blame others. Internally I was telling myself a very different story. The blame that I was showing was a result of my shame that I felt on the inside where I couldn't fully receive the fullness of who I was and whose I was in God, because I don't have to be perfect. Up until just recently I beat myself up inside so much. I believed the lie that I had to be better than everyone else. I'm no better and I'm no worse than anyone else living on Earth today. The same goes for you. You are no better and no worse than anyone else on Earth today. You are wonderfully made. You and I are created by God. If you are a follower of Christ you believe in what Christ did you for you out of His perfection. He was the blameless lamb that was sacrificed. Because of His love you can live in peace, knowing that he took everything. He took all of our sin, all of our shame, all of our condemnation, all the blame. He took it and He paid the price. Now, we can shine and reflect His great name on the world. Because of all this we can begin to tell ourselves a different story. We do have what it takes. We have what it takes inside of us. We are a privileged people because of the gift that we've received. The shame begins to go away, and the blaming begins to go away. Instead, what happens is we begin to claim our stuff, we begin to be able to take responsibility for our things, for our mistakes, for where we are today. Yet, at the same time we don't shame ourselves for it, and we don't put ourselves down for it. We don't beat up ourselves. We don't whip ourselves. We don't hurt ourselves emotionally because of the mistakes that we make, or because of the situation that we're in. That price was already paid. The situation that we are in is exactly the situation that we put ourselves in. We put ourselves here. The sooner we begin to claim that, and own that, and take 100% responsibility for that and stop blaming anyone else for our situation, and instead of looking for sympathy from others. Our nature wants us to receive sympathy. We want empathy. We want things to be made easier. We want to get out of jail free card. You know what, we're not even in jail, but we want it anyway. It's crazy. Do you know what I mean? Does anyone relate this? It's time to begin claiming the situation that you're in, whether that be in your personal life, or in your business life, the relationship that you have with your husband, or your wife, your friend, your family member. That relationship is what it is because you helped it to get there. You are responsible for that relationship, and the status of that relationship as it is today. You are responsible for the situation that you are in, and so am I. Take responsibility. Humble yourself under the Almighty God because he has already taken that weight off of you. His burden is light and his yoke is easy, so give it to Him and move on. Own it. Take responsibility for the situation that you are in today and begin to move forward. Begin to take action that leads you toward your vision that you have, because once you claim it you're going to begin to gain. Just remember this short little phrase, if it helps you. Shaming turns into blaming but claiming becomes gaining. We gain when we claim and we blame when we shame. Which are you going to choose, claiming and gaining or shaming and blaming? I can tell you that the short bit of pride that you need to swallow, and the short bit of pride that you need to overcome because you are too afraid to see the truth is going to provide victory for you and bring you to a place of victory, bring you back to that place, because God is there and God is in the midst of that. Don't think that God doesn't want to hear your complaints, and your whining, and your stuff. He does want to hear it. He delights in the details of your life. He wants you to air it all out to Him, because he already knows it anyway. He's already speaking to you about it. He is a good God. He is a good Father. He wants to give you wisdom and advice. Seek Him out. Take it all to Him rather than blaming everyone else around you for what you are experiencing. Ask God what He wants to say about the situation, or the relationship, or the problem you're having. Take it to Him, because there's no better person for you and me to take it to. I'm going to resolve it to myself and in my spirit, that I'm going to dwell on the shelter of the Most High. I'm going to rest in the shadow of the Almighty, and I'm going to make Him my refuge, make Him my fortress. I'm going to spend time with Him. I'm going to start listening to what He says about me. He is for me not against me. Take this, receive it, stop the shame, stop the blame, begin to claim and gain, and that's my message for you today. My challenge for you is to take one thing to the Lord. Air it out to Him rather than airing it out to your entire family or to that person that you're upset with. Go to Him first. Tell Him everything. Ask Him, "Now that you've heard me, Lord, what do you want to say to me about this?" Then, begin to claim responsibility about what He says and see what happens. You'll be blown away by what He says to you. 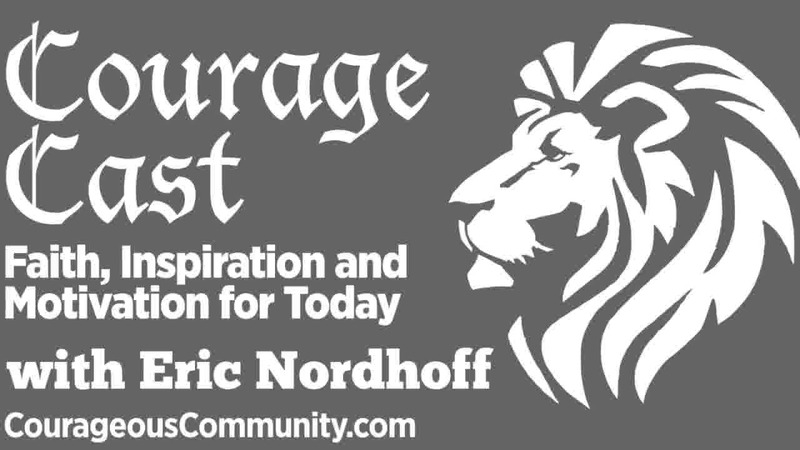 I'm Eric Nordhoff and I'll see you again on the next episode of Courage Cast.